On Tuesday morning, the Lincoln Memorial was vandalized with explicit language in red spray paint. 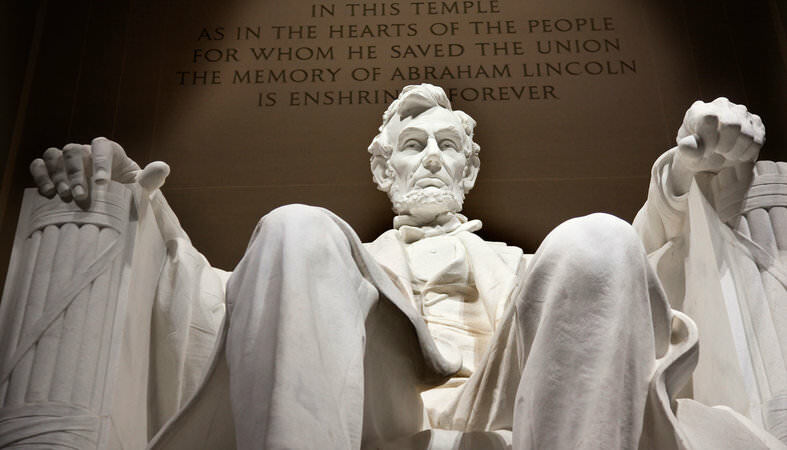 Someone vandalized the Lincoln Memorial, the National Park Service says. The words “F— law” were found written in red spray paint early Tuesday on a pillar at the monument that overlooks the Capitol building and National Mall, NPS said Tuesday afternoon. The graffiti was found about 4:30 a.m.
Work already has begun to remove the spray paint from the historic stone. Lincoln Memorial was vandalized amid heightened national uproar over Confederate monuments. The Gateway Pundit previously reported that protesters ripped down a monument of a Confederate soldier Monday evening. The monument has stood in Durham County, NC since 1924.